Yamunotri Tour is a perfect way to explore the ethereal bliss of Himalayas and to bow the river deity who resides in the sacred shrine of Yamunotri. A blessed destination of Goddess Yamuna. To be found at an altitude of 3,293 meters. 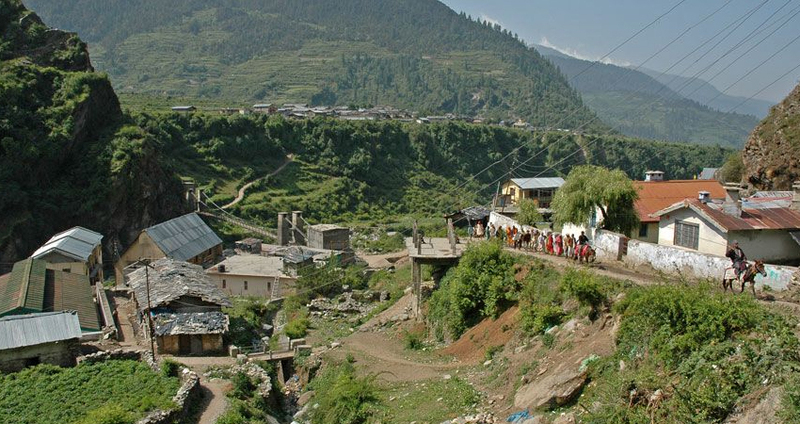 May to June and September to November are the best time to visit Yamunotri. Summers can be cold and winters are generally icy cold. 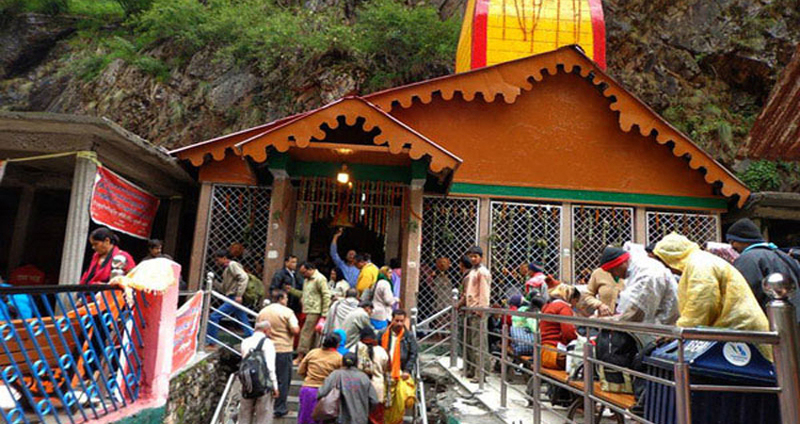 The good-looking temple of Yamunotri that is at the basis of the river Yamuna is placed opposite side of Gangotri. The road to both of them is nearly the same but takes a division in Dharasu where the road going to Yamunotri. 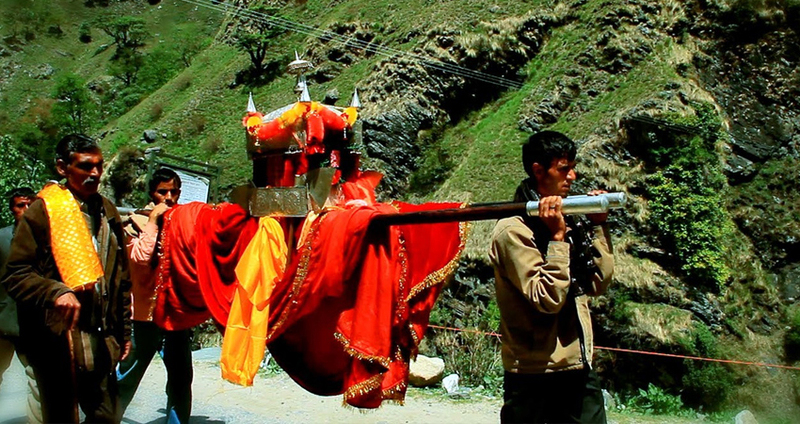 One more way of reaching Yamunotri is either from Mussoorie or Barkot. The gorgeous shrine is placed at a height of 3,293 meters above sea level, and is also very normally referred to as one of the "Char Dhams" of pilgrimage in Uttarakhand. 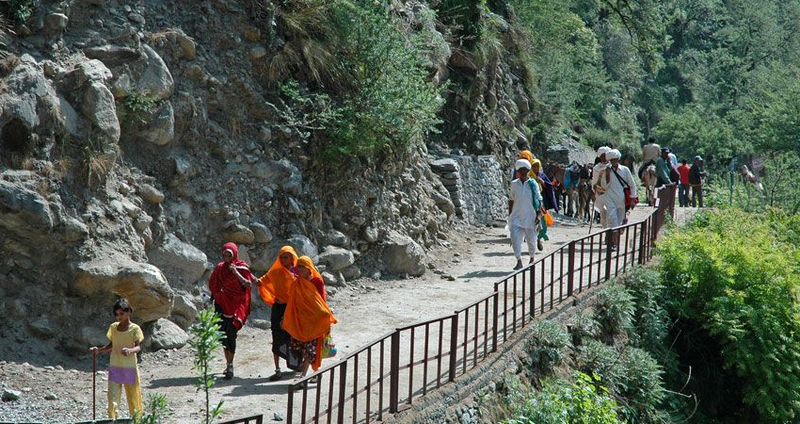 The place from where the Yamuna River originates is positioned 1 km ahead of the shrine and is a very hard trail to walk. The devotees who come to the temple at Yamunotri present their prayers to the river Yamuna at the temple itself. One more very mesmerizing phase about Yamunotri is a range of hot springs that are nearby near the temple which are the ideal way to end your trek of 13 kms from Hanuman Chatti. The traveler dip in the hot springs near the shrine and energize them from the long and tiring trek before going on to the temple. The best time to visit Yamunotri is between the summer months of May and June and earlier than the onset of the chilly winters in the months of September and November. The most main thing to remember regarding Yamunotri is that the Yamunotri Shrine is usually closed from 3rd week of November to the 3rd week of April because of the extreme chilly weather that makes it very hard for guests to trek their way climbing to Yamunotri. The summers are very mild in Yamunotri while the winters are really cold with the temperature even touching below 0 from time to time. The region also experiences heavy snowfall throughout the winters. 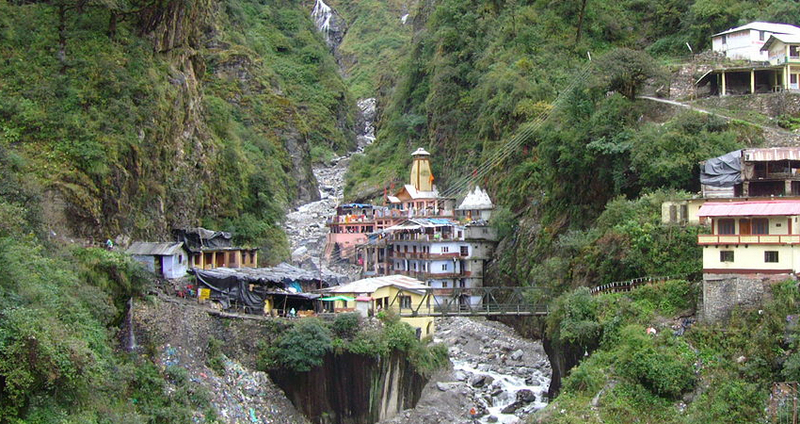 The best thing about Yamunotri is that is it well linked by air, rail as well as road. If you would like to travel by air towards Yamunotri, the nearby airport would be Jolly Grant airport in Dehradun from where you can take a bus and go on towards Hanuman Chatti. If you are coming to Yamunotri by road, there are lots of thruway buses at usual intervals that carry traveler from all the big cities around Yamunotri. The nearby railway station is located at Rishikesh around 248 kms away from Yamunotri and is also linked by regular buses that attach Rishikesh and Yamunotri. Day : 2 Haridwar to Syanachatti (240kms/7hr). In the early hours of morning, drive to Syanachatti via Mussoorie. On the way diverge from main road to Lakahamandal (5kms /one side), visit the ancient temple devoted to Lord Shiva. After temple darshan drive to ahead destination. Check in Hotel at Syanachatti. Day : 3 Synachatti to Yamunotri to Syanachtti (12kms drive and 7 Kms trek each side). Drive to Phoolchatti, trek start on from here to Yamunotri. And by walk / horse / Doli at own cost. Arrival to Yamunotri temple, One can cook rice by packing it in a cloth and dipping it in the hot water of the hot kund. Pilgrims take this cooked rice Home as "Prasad". Here near the temple "Puja" can be offered to Divya Shila, after taking bath in Jamunabai Kund's warn water and having "Darshan" of pious "Yamunaji" returning to Hanumanchatti. Later on drive back to Syanachatti. Overnight stay at Hotel. Day : 4 Syanachatti to Hardwar (240kms/7hr). In the morning drive to Haridwar, Check in Haridwar Hotel and overnight stay. Daybreak visit Hardwar Local Sight Seeing. Later on depart to Delhi. On arrival Delhi, Drop at Railway Station/Airport. This village symbols the source of the Yamuna River. To the Hindus, it is the seat of Yamuna, the Hindu Goddess, who is represented as having black complexion, and over a tortoise, having a pot of water in her hand. There are lots places of interest for every kind of guest. While there is Yamunotri temple, Surya Kund, Saptarishi Kund, Divya Shila, Chamba, Hanuman Chatti, Kharsali, Barkot at once there is trekking for the adventure fans.